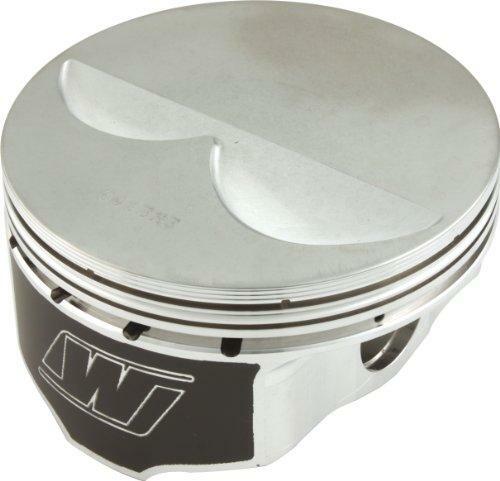 World renowned for their work building race winning pistons, Wiseco utilizes experience from a diverse background of the most sophisticated engines in such venues as Formula 1, Indy Racing League (IRL), NHRA Pro Stock, Moto GP, AMA Superbike, AMA Motocross and Supercross to design and manufacture the highest technology pistons available. Valve Pocket designs that allow maximum flow around valve, also allowing oversized valves and high lift cams to be utilized. exhaust valve overlap. More fuel and air equals more horsepower! Piston Domes designed for optimal quench during the compression/ combustion cycle, resulting in resistance to detonation and preignition. The end result is longer engine life and increased horsepower potential. excellent surface finish and flatness, maximum ring seal and minimized blow-by and oil consumption. World class, ISO Certified, forging facility that utilizes the latest technologies – Featuring complex forged shapes, advanced materials, and feature-aligned grain flow technology. Complex Piston skirt profiles that reduce power robbing friction, yet promote stability in the bore for optimum ring seal. Wiseco’s new ArmorGlide skirt coating is the result of testing, development, and benchmarking through our in-house dyno program. The outcome – minimized friction, maximum horsepower, and improved wear resistance. Not only is ArmorGlide a high-tech lubricant that reduces friction, but it also allows the piston to be fitted tighter within the bore than a non-coated piston. Better ring seal reduces noise from piston rock. ArmorGlide is being applied to selected pistons.